This is not the best news ever, but the Bible suggests, in many places (including 1 Peter 4.12-19) that people who follow Jesus will suffer for their faith. It was a regular occurrence in New Testament times, and in the life of the early church. Can it somehow be good for us to suffer? Listen to “The Pain of Suffering” here and let me know what you think. One of the things our society seems to be losing in recent years is the ability to be able to disagree civilly. This is especially true in all matters political. I remember reading a story one time of what life was like for members of parliament in Ottawa. In the era when Pierre Trudeau and Joe Clark were leading the Liberals and Conservatives, members of parliament could enjoy pleasant conversation with each other outside the House. Their children could play together. Ideologies differed, but there was civility. Civility has all but left government at all levels in this country, because we have lost the ability to agree to disagree. This reality was highlighted earlier this week, when Canadian diplomats (whose colleagues had already been recalled from Tehran) walked out of a speech given by the leader of Iran at the United Nations. Mr. Ahmadinejad’s government responded by calling Canadians “Islamophobic” and “Iranophobic”, warning their citizens to avoid coming to Canada. Name-calling has become our lowest common denominator. When we don’t agree with another person, we call out a name. When another person doesn’t see eye-to-eye with us on a matter of importance to us, we call that person a (name your issue here)-phobe. The biggest problem with that is that it has created a cultural assumption that if we disagree with another person about an issue, it means we’re afraid of the issue. If we could wade through all the rhetoric that clogs healthy debate, we’d realize that not everyone who disagrees with the way Iran runs a country is afraid of Iran. We’d realize that not everyone who believes Islam is the way, or even the preferred way, to God is afraid of Islam. The same is true for Christianity, Judaism, sexual preference, Rob Ford, travelling by bus, or any other phenomenon. But society has come to accept that an unwillingness to accept a particular philosophy, lifestyle or practice is an expression of fear. In his first letter to a young church, John wrote, “There is no fear in love. But perfect love drives out fear, because fear has to do with punishment. The one who fears is not made perfect in love” (1 John 4.18). Christ-followers are not innocent when it comes to name-calling and incivility in debate. The world will do what the world will do (sadly), but God calls those who follow Jesus to a higher standard: God calls us to be able to love one another even when we disagree vehemently. In an age that has also re-defined tolerance to mean abject acceptance (instead of allowing another person the right to be wrong), we are called to go the extra mile and love even those who may call us names, too. Because God has made all people in his image, all people deserve our respect, even when we don’t agree. This higher standard to which God calls us is not something we can easily achieve; it requires a heaping measure of God’s grace. To meet God’s high standard for us, we can pray for the grace to love in the midst of the rhetoric of name-calling. And when we seek that grace, we will find it. We all experience pain and we all experience loss – and there is pain in loss. How we deal with that pain, however, can shape our lives, whether we know it or not. This message, based on 2 Samuel 12.1-25, gives us some ideas on how constructively to deal with the pain of loss. You can listen to the message by clicking here. After the message, as a moment for meditation, we attempted to play the song that you can listen to on YouTube. Have you ever engaged in the ancient spiritual practice of examen? No, it doesn’t have anything to do with taking a test when you get to the Pearly Gates. The examen is a practice that likely dates earlier, but was popularized by Ignatius of Loyola in the fourteenth century. 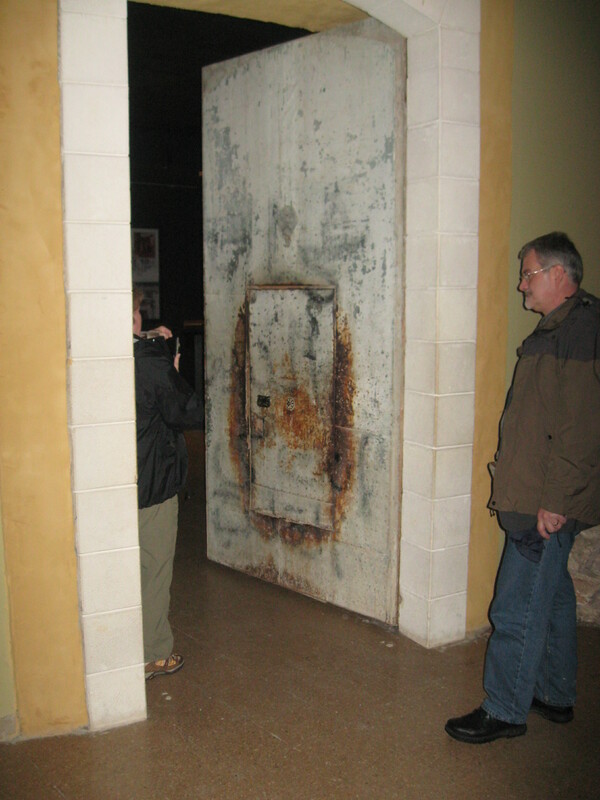 Ignatius was a Spanish soldier who experienced a profound conversion while recovering from battle wounds. He founded a religious order – the Jesuits – and created a series of “spiritual exercises” for those in his order, and others who would find them helpful. Only recently have Protestant Christians ‘discovered’ them and put them to use. Among the exercises commended by Ignatius was the examen – not an examination to determine how much you know, but an examination of one’s self and life experience to consider the ways in which God seemed most present, or least present, in one’s day, week, month, year, or even life. Some practise the examen once a year, while others practise it daily. Some even wait until they know life’s end is near to look back and find God’s presence in their years. I’m an advocate for practising the examen on a daily basis, as a growing part of the relationship with God. Typically, this can happen at the close of the day when one is preparing for a night’s rest. You can think back on the events of the day, and before God consider where God was most active, whether in encouraging or admonishing or comforting. At the same time, you can consider where God seemed most absent, or most distant. These are good things to which to pay attention on an ongoing basis, and doing so daily makes it much easier to note the details of our lives. Did God’s Spirit minister to you in a special way at some particular point? Praise him! Perhaps you might keep a journal in which you thank God for those moments when he seemed closest and was at work in your life. Did God seem far away at some point in your day? Take time to ponder why that was the case. Since we know from Scripture that God will never leave us nor forsake us (Joshua 1.5; Hebrews 13.5), we can take on faith that if God seemed distant, it was not because God was distant; we just chose not to involve or engage the Lord in that part of our day. Perhaps you might journal that, too, and ask God to help you to be more aware of his presence. The Psalmist wrote, “Search me, O God, and know my heart; test me, and know my anxious thoughts. See if there is any offensive way in me, and lead me in the way everlasting” (Psalm 139.23-24, NIV). I encourage you to try the examen as a tool to invite God to search you, and know your heart. Let it be a daily part of your growth in Christ. You won’t be disappointed as you see the transforming power of God’s grace at work in your life! We might think that attachment to our stuff is a modern phenomenon, but it was just as prevalent in biblical times. Jesus talks more about money, in the gospels, than he does about prayer! So it’s no surprise that he has an encounter with a rich ruler in Luke 18.18-30. In the message, I make reference to two pictures, which you’ll find below. The picture of the Needle’s Eye was taken by my friend, Duncan Cameron (and features John Vissers, Moderator of the 138th General Assembly of The Presbyterian Church in Canada). 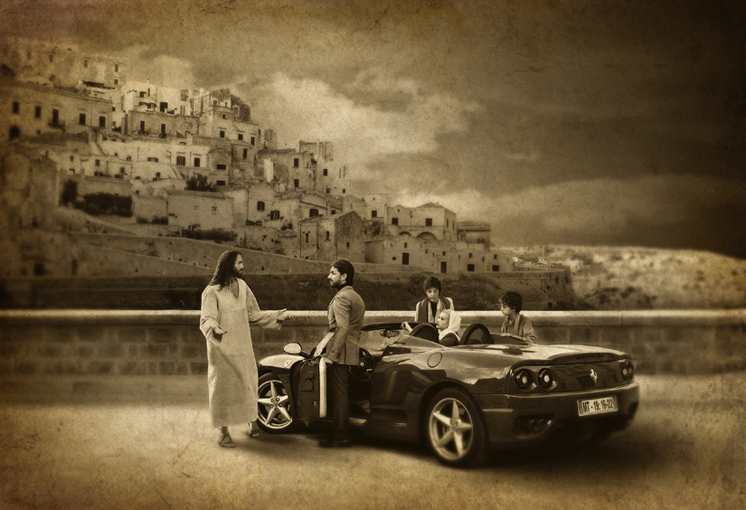 The picture of the modern version of our Bible story was borrowed from jonathanmerritt.com. You can listen to the message by clicking here. 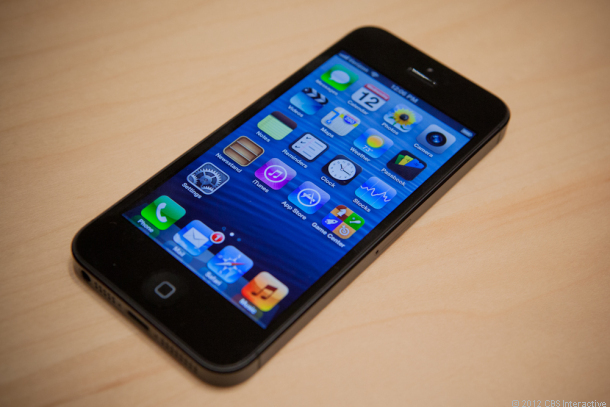 In case you missed it, Apple announced the release of the iPhone 5 on Wednesday. Though the die-hard fans will have begun to salivate as soon as the press conference began, most of the rest of the world just uttered a collective, “Yup.” So much information had been leaked out ahead of time that nothing in the announcement was a great surprise. There has been talk about how the new plug will require users of the new device to purchase a $30 adapter (on which the margin will be huge) to make it work with other Apple products, but otherwise, there hasn’t been the hype that came with earlier iPhone announcements. In spite of the general ennui over this unveiling, millions of the iPhone 5 smartphones are expected to sell, and quickly. I will admit to being the happy owner of an iPhone 4. And as one friend of mine tweeted the other day, Apple’s most recent announcement means that the phones he and I use will now be the “freebies” given away by the cell phone companies to entice users to sign up for a new contract. Does that discourage me? Hardly. For something the phone company will give away for “free” (notice the quotation marks there), what I use is still a pretty fantastic and eminently useful device that makes my day-to-day working life easier. So, am I “encouraging” you to get an iPhone? Not really, though if you need a flag-waver for it, count me in. No, I’m just using this to illustrate that even hyped up technology can be met with a ho-hum response. The announcement of the iPhone 4, and even the 4S, brought more media and ground-level buzz than this proclamation did. And frankly, Apple probably isn’t disappointed, because they know that their loyal fan base will still be putting megadollars into Apple’s bank account once the phone releases in Canada next week. They’re not worried. There was a lot of initial ‘buzz’ when Jesus showed up on the scene in first-century Palestine. People saw his miracles and heard his teaching and asked each other, “Could this be the Christ?” (John 4.29b [NIV], e.g.). But later, these same excited people crucified him, in part, because he did not meet their expectations of what the Messiah should be. It’s not likely that people are going to try out their new iPhones and then run over them with their cars because it doesn’t meet their expectations. Why? Because Apple understands what its consumers want, and it delivers. The difference is that while God knew what the people needed in giving his only Son, the people didn’t necessarily see it that way. God is not a “give ‘em what they want” kind of deity. God is a “give ‘em what they need” God. And Jesus is not a consumer commodity. There are landfills around the world that testify to the throwaway nature of consumer commodities. Jesus, on the other hand, was crucified at the Jerusalem landfill site because what the people needed what not what the people wanted. Thank the Lord that God has given us not what we want, but what we need.